Russian court refuses to lift arrest from shares belonging to Navalny | Russian Legal Information Agency (RAPSI). 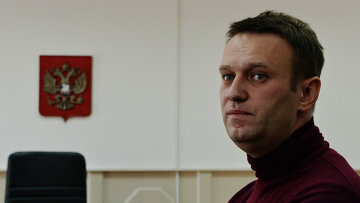 MOSCOW, March 13 (RAPSI) – The Moscow City Court has refused to lift the seizure of market shares of oil, gas and energetic companies, belonging to opposition politician Alexey Navalny, RAPSI learnt on Monday from the court’s press-service. Shares of Rosneft, Transneft, Sberbank, Gazprom-Neft, Quadra company and others are still under arrest in relation to the Yves Rocher embezzlement case. Navalny and his brother Oleg were convicted of committing fraud against cosmetics company Yves Rocher Vostok. Investigators alleged that the Navalny brothers embezzled over 26 million rubles (about $400,000 at current exchange rates) from the cosmetics company, as well as close to 4 million rubles ($61,500) from the Multidisciplinary Processing Company through a fraud scheme. The brothers were further charged with laundering 21 million rubles ($322,600). In December 2014, Alexey Navalny received a suspended sentence of 3.5 years, while his brother Oleg was sentenced to 3.5 years in prison. Navalny has also been involved in several other cases, including a case of embezzlement at the Kirovles timber company in which he was recently given a suspended sentence for a second time. He has denied all the charges brought against him. 17:50 13/03/2017 The Moscow City Court has refused to lift the seizure of market shares of oil, gas and energetic companies, belonging to opposition politician Alexey Navalny.